Recently I finished this squad of 10 French Senegalese Tirailleurs infantry. These figures are all metal and are from Warlord Games. As I've said before, I really like painting up these World War 2 French figures. I have more infantry on the way and a bunch more vehicles awaiting paint. And we're off! First submission (finally!) for this year is a quick one. 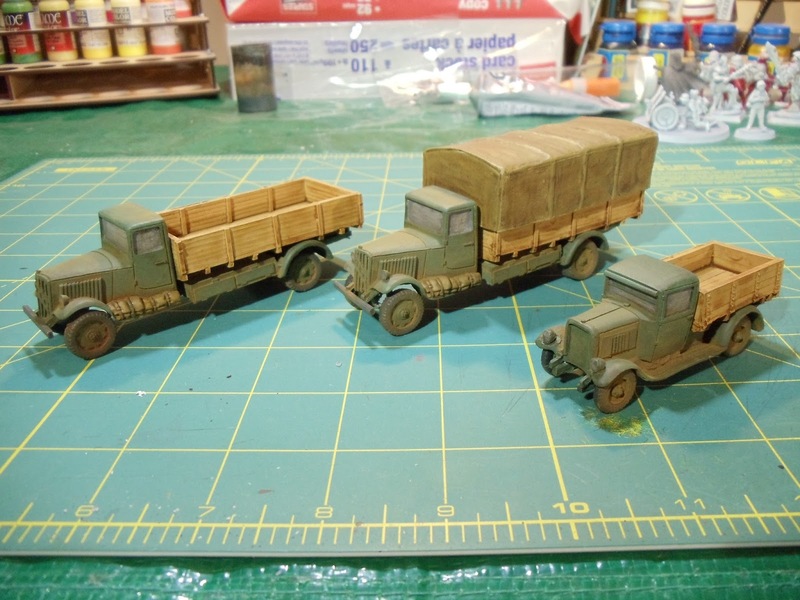 This a trio of French World War 2 era trucks. These figures are resin with metal bits and are from Warlord Games. 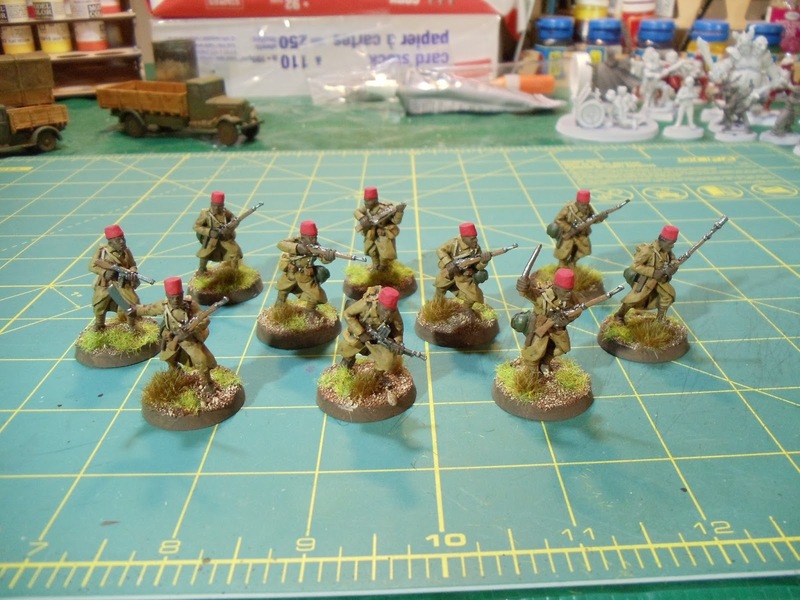 Next is a unit of French Senegalese followed probably by some partisans. 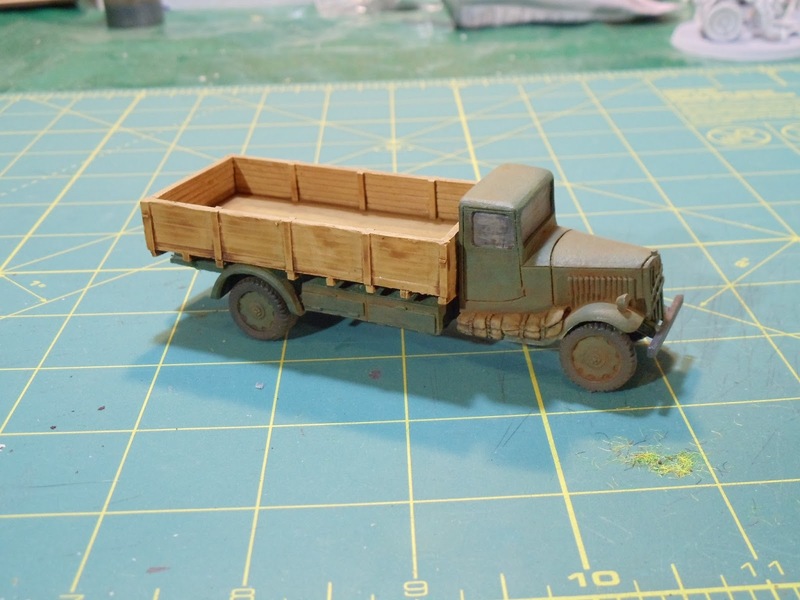 As the weather is nice this weekend, there are a number of things getting primed. Well, another year has gone by and I can probably safely say good riddance to 2016. As it is now January 1, 2017 it's time to reflect on what I did for gaming in the past year. I completed #1 and #6. I did get some of #3 completed but I kept adding new figures to my pile so it never got completed either (although I did get close). With the exception of the Carthaginians (that I started) I didn't even work on any of the other goals. Oh well. 2. 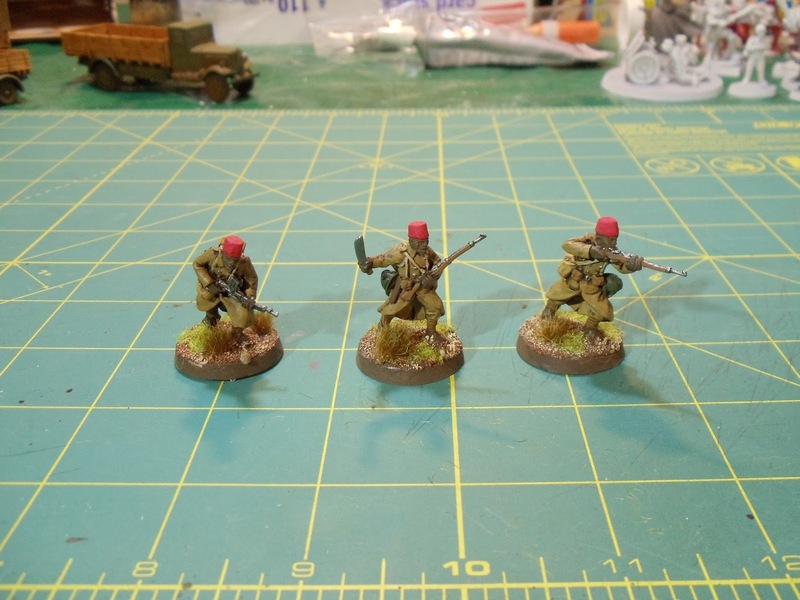 28mm World War II Germans - get at least the started box completed. 5. 28mm Samurai - paint up at least 2 bases of figures ( I really need to move this project along). 6. 28mm Carthaginians - do up at least 4 bases of units. Hopefully I can do better than I did in 2016. This year I played a large assortment of boardgames but I didn't play as many matches as I've played in the past couple years. This is probably due to the fact the last third of the year I was working on a work project that took up an extraordinary amount of my time. So in 2016 I played 49 different games with a total of 101 matches. My top 3 games (by matches played) were #1 Kingdom Builder (7 matches) and a tie for #2 and #3 with Firefly and Eldritch Horror (6 matches each). I'm hoping to get more wargames played in the coming year as wargames form a considerable chunk of the games I own. Sitting on my paint table right now is the trio of French trucks which I may finish tonight, a half dozen 28mm aliens, a squad of French Senegalese, a squad of partisans and a small handful of Frostgrave figures. Here's to 2017!